InstaReM, Southeast Asia’s hottest digital cross-border payments company, has announced the first close of its US$ 45 million Series C round, at over US$ 20 million. The first close is led by high profile new investors MDI Venture Capital (the venture capital arm of Telkom) and Beacon Venture Capital (the venture capital arm of KASIKORNBANK). 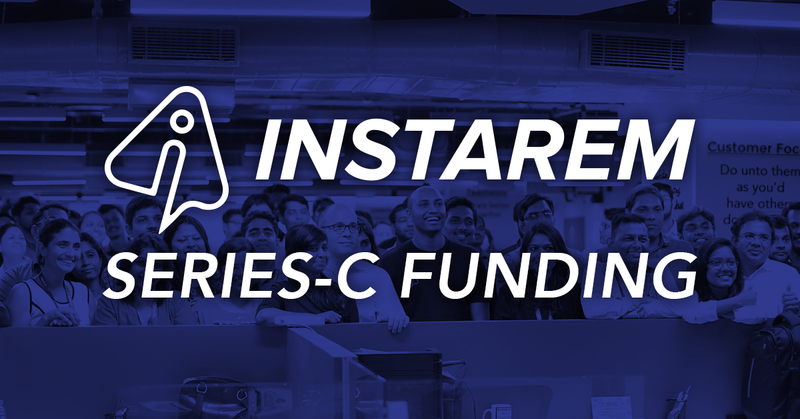 InstaReM’s Series C round (to be completed in January 2019) will be used to drive growth in new markets, and to support the launch of a new consumer and enterprise product in 2019. SINGAPORE, November 22, 2018 — InstaReM, Southeast Asia’s hottest digital cross-border payments company, has announced one of the most significant Series C funding rounds for a fintech in Southeast Asian history. The company’s meteoric growth has secured a first close of more than US$ 20 million led by new investors MDI Ventures (the VC arm of Indonesia’s Telkom), and Beacon Venture Capital (the VC arm of Thailand’s KASIKORNBANK) and supported by existing investors, Vertex Ventures, GSR Ventures, Rocket Internet and SBI-FMO Fund. The Series C round of US$ 45 million, which takes the digital remittance fintech’s overall funding to over US$ 63 million, is expected to close by January 2019, in advance of its expected IPO in 2021. This historic Series C round, will accelerate growth in InstaReM’s existing markets and enable it to enter new markets in Japan and Indonesia, where it is expected to receive licenses by the end of this year. This round will also enable InstaReM to launch a new consumer and enterprise product in 2019 for which the company has aggressive plans. InstaReM’s next-generation payments platform leverages the latest technology to help its individual and enterprise customers send money to their destinations quicker and at a lower cost than its competitors. With regulatory licenses and approvals in Singapore, Australia, India, Europe, United States, Hong Kong, Canada and Malaysia, and its extensive global banking partnerships, InstaReM is able to reach to over 3.21 billion consumer and business customers across 55+ countries worldwide. InstaReM already powers payments for three of the top ten Southeast Asian Banks. InstaReM is a member of RippleNet, Ripple’s global network of banks and other financial institutions, and has recently bagged the Blockchain Innovator Award by Ripple, for its innovations in the payments space. InstaReM is a Singapore-headquartered cross-border payments company, with presence across Asia-Pacific, North America and Europe. Starting its operations in Australia in 2015, today, InstaReM has presence across 40 countries/regions including Australia, Singapore, Hong Kong, United States, Canada, Malaysia, India and Europe. InstaReM powers local payments to more than 55 countries and 3.21 billion people across the globe. InstaReM has created a unique payment mesh in Asia, which is being leveraged by financial institutions, SMEs and individuals to make fast low-cost cross-border payments. InstaReM serves larger institutional and corporate clients with its MassPay product — an international business payments platform with bulk and customized payments facility, multi-currency payments and accounts and a host of other time and cost-efficient payment features. In March 2016, InstaReM successfully raised a US$5 million Series A round led by Vertex Ventures, with participation from Fullerton Financial Holdings and Global Founders Capital. In July 2017, InstaReM received another US$13 million investment Series B funding led by GSR Ventures, with participation from SBI-FMO Emerging Asia Financial Sector Fund, Vertex Ventures, Fullerton Financial Holdings, and Global Founders Capital. In 2018, InstaReM partnered with Ripple, the leading enterprise blockchain network in a move that unlocked its global reach. The inspiration for InstaReM came from a personal experience of one of its co-founders. Prajit Nanu needed to pay for a resort in Phuket, Thailand. As he was based out of India, he was unable to use his credit cards because the resort only accepted bank transfers. He ended up asking an Indian friend based in Thailand to do a local THB bank transfer. Prajit transferred an equivalent INR amount locally to the friend’s Indian bank account, thus saving on huge transaction fees and currency conversion loss. InstaReM Enables Business Users to Make Multi-Currency Payments in One Go!